Dynamic SPECT and dynamic PET myocardial innervation, viability and absolute blood flow (MBF) quantification. Concurrent PET/SPECT imaging of a co-injected 99mTc perfusion tracer and e.g. 82Rb or 18F-FDG. Contrast-enhanced hybrid nuclear/CT multi-gated imaging combining 4D angiography and 4D perfusion imaging. Computation of global cardiac functional metrics from 4D micro-CT data sets using short, quantitative, low-radiation-dose protocols. 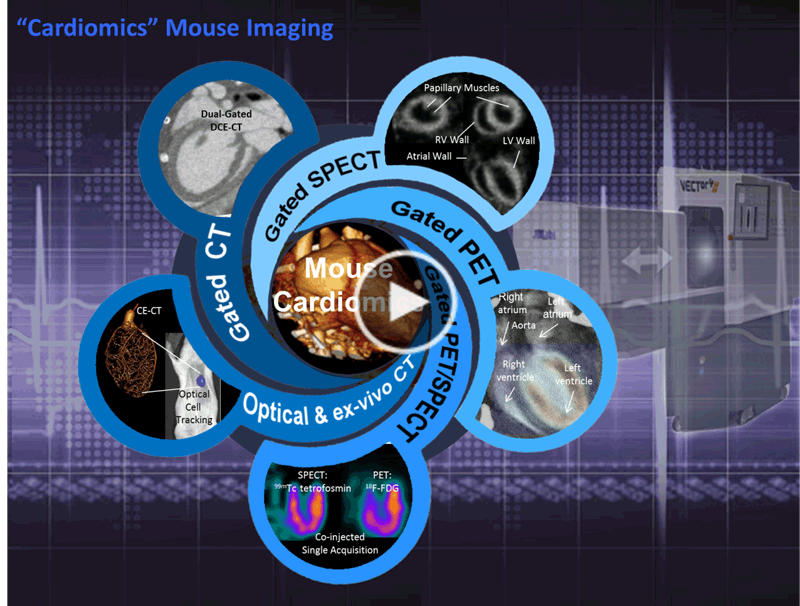 Featuring high-performance hexamodal imaging technologies, i.e. 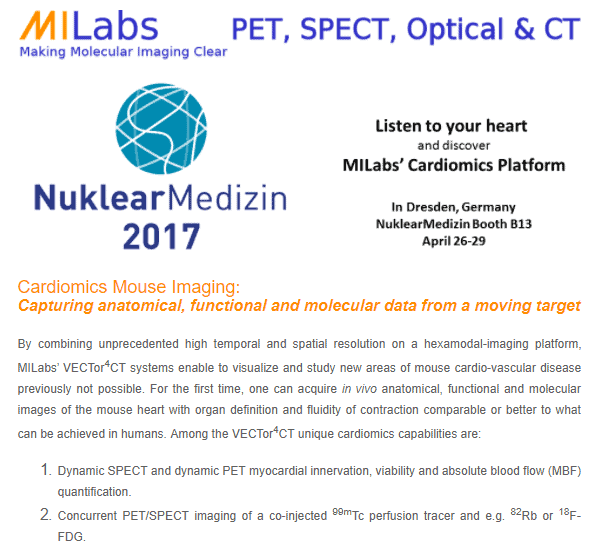 SPECT, PET, CT, Bioluminescence, Fluorescence and Cherenkov imaging, MILabs VECTor4CT makes it now possible to extract with just one imaging study, a wide range of functional and morphological/kinetic data to better delineate heart disease with more proven efficacy than separately used modalities. MILabs’ VECTor4CT system makes anatomical, functional and molecular cardiomics evaluation possible in a completely non-invasive way.